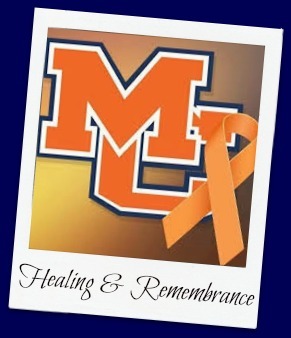 The Marshall County FOCUS (Facilitators of Community Unity & Support) group has planned a respectful and uplifting event of healing and remembrance for the Marshall County community on the one year date of the shooting at Marshall County High School. The ideas for the event sprang from feedback received on surveys given throughout the community in September. Many area churches have been instrumental in putting this together. Next Wednesday night, January 23rd at 6:00 PM, at Mike Miller Park in Draffenville, the community is invited to gather in the lower parking lot between the soccer fields. The event will begin with a word of prayer followed by Bro. Tim Bertrand of God’s Graffiti Ministry. He will use his gift of art and love of Christ to create a painting while presenting a Message of hope and healing for the community. Bro. Brian Brophy of the Reidland Church of Christ and Cody Myers, a local musician, have written a song inspired by the aftermath of January 23rd which reminds us that together we are strong. Cody will perform the song at the conclusion of Bro. Bertand’s presentation. The formal part of the event will end with the release of one orange and one blue Chinese Lantern. glow stick as these will probably go very quickly. This community will never forget what happened on January 23, 2018 and will not forget the families and students who were impacted by the events. But, we will strive to maintain the hope and unity that the residents of Marshall County have always demonstrated.